I entered my code, but when I get to the final page of the checkout the total does not reflect my discount. To solve this, simply re-enter your code in the promo code box under the "Order Summary" area on the right hand of the screen. 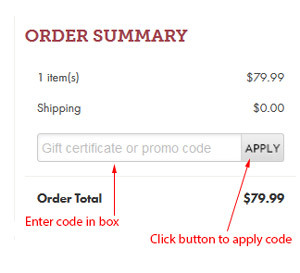 Be sure to click the apply button and your discount should apply immediately and your new total will be displayed. An example pic of the area is below.